Could you tell the difference between a good-looking camel and an ugly one? The judges at the Mazayin Dhafra Camel Festival certainly can – and size matters. 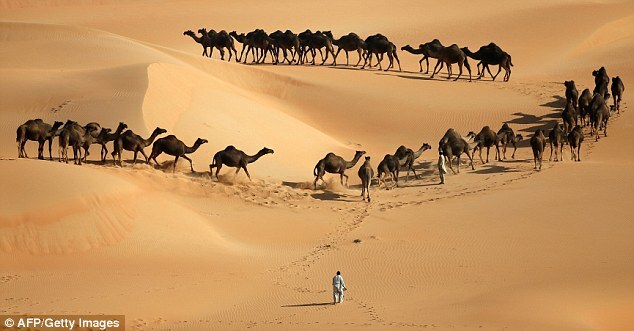 These pictures show hundreds of camels being driven through the Liwa desert to the festival in Abu Dhabi, where a camel beauty contest is one of the highlights. 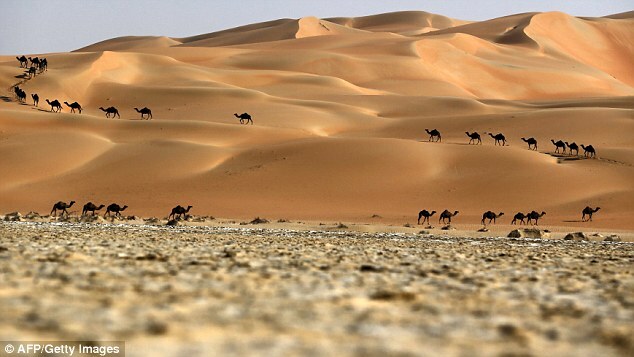 Ali Al Mansouri, a camel owner and member of the Mazayna Al Dhafra organising committee, told The National that the judges ‘are looking for camels with big heads, wide necks, firm ears, broad cheeks and big whiskers’. 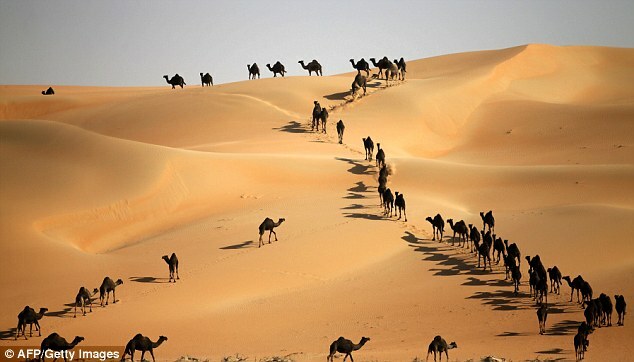 The festival, which features around 30,000 camels, began on December 22 and lasts for two weeks. It attracts participants from around the Gulf region and also includes horse and dog races, a falconry competition, a display of UAE handcrafts and other activities aimed at promoting the country’s folklore. Camels are found across Africa and Asia and are famously suited to desert life. They have humps that contain fatty deposits, which the animals draw upon when food is scarce. They can run surprisingly quickly – about as fast as a horse for short bursts. These beasts are also rapid drinkers and are able to gulp down 30 gallons of water in just 13 minutes.